10+ Best Free Antivirus Software Of 2018: Nowadays it will be worthless to say no to Antivirus program, as with the increase in ransomware attacks, having a trusted anti-virus protection tool is extremely important. Hence, today in this article we will mention 10 best free Antivirus software of 2018. Are you looking for a free antivirus program or software to defend your PC from the most dangerous viruses? Then you should definitely keep an eye on some of the tips on how to select the best, as there are many cybersecurity companies that offer free protection. Avoid the hassles of testing dozens of free tools, simply read this post to select the best free antivirus tools of 2018 for your PC. It will be worthless to say no to Antivirus program, with the increase in ransomware attacks, having a trusted anti-virus protection tool is extremely important. Of course, payment programs usually seem to be more powerful and sophisticated, but you can also find powerful tools that do not cost a penny. Remember that it is advisable to use antivirus plus anti-malware or anti-spyware together for maximum protection since typical anti-virus tools are only designed to protect the system from numerous critical programs, while anti-malware or anti-Spyware are created to remove adware, browser hackers and other potentially unwanted programs (PUPs) from your computer. Avira Free Antivirus analyzes the entire system with a simple click of a button. This program has an easy-to-use interface that allows even less technical users to configure and use it easily. 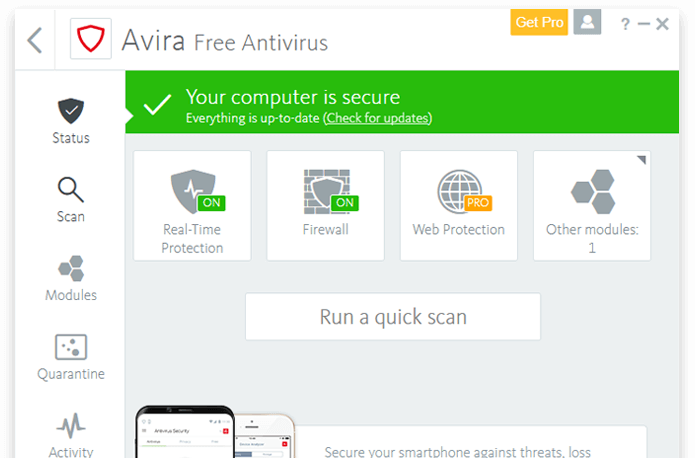 Avira Free Antivirus sets up a shield that defends the complete system from all types of malware, including viruses, Trojans, worms, and spyware. This program is based on a cloud scanning system, which means that any suspicious detections will be directly sent to an online server and are checked in real time, and then the response is sent to the program on the user’s computer. Probably one of the most obvious disadvantages of this program is that it slows down the computer during system testing. However, considering that it is a free tool and that its malware detection rate is high, the slowdowns are not a high price to pay. This tool is built to protect both users of Windows and Mac. 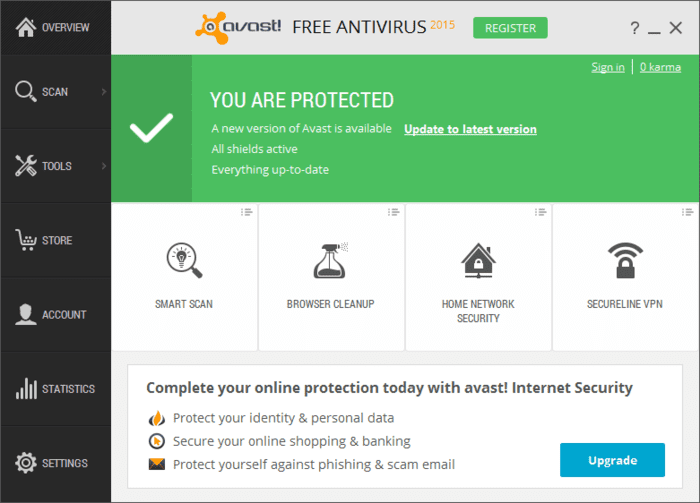 The free version of Avast Antivirus is an award-winning product that provides real-time protection for the devices on which it is installed. This antivirus works predictably that simply checks the codes of the programs and detects the dangerous ones. Avast VirusLab creates a “virus” against the code and sends it to every computer protected with Avast. The program is able to block phishing websites, malware as ransomware, detect viruses, adware and also detects the unwanted outdated programs. In addition, Avast Free checks to see if other devices connected to the user’s network are safe like printers, telephones, TVs, tablets and so on. With this program, you can easily detect and update programs that may have security vulnerabilities, and this will help you to prevent hacking attacks. You can also run performance checks and ensure your passwords, which is also very useful features.Moreover, this free tool is available for Windows, Mac, and Android. AVG AntiVirus Free is another great option for those who are looking for free antivirus protection. This antivirus scans the system for malware and performance problems and provides real-time protection, which blocks malicious downloads and prevents malicious programs from infiltrating the PC system. It has a simple interface and it is an easy-to-use product, which undoubtedly does most of the work automatically, allowing the user to sit and rest while the computer is cleaned. The program is updated regularly, which means that you will not have to worry about the latest updates as the program downloads the latest virus definitions from its servers automatically. Moreover, this free tool is compatible with Windows XP SP3, 7, 8, and 10, also with Mac OS 10.8 and later, making an excellent choice for users who do not want to pay for a computer protection program. 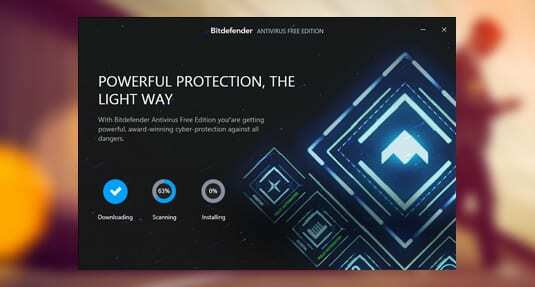 The free edition of Bitdefender Antivirus provides a rich set of features for those who do not want to pay for a security program. The software guarantees an effective system check and virus removal, active control over threats, as well as excellent anti-phishing and anti-fraud features. The software controls the applications running and locks them in case it detects any suspicious behavior, and also prevents access to deceptive sites that claim to be safe to steal data from users. Bitdefender Antivirus Free is compatible with Windows 7 SP1, 8, 8.1 and 10, but the company provides protection solutions also for Mac and Android users as well. Panda Free Antivirus is another option for those who are looking for a free computer protection. This lightweight tool is compatible with Windows 10, 8/8.1, 7, Vista, and XP as well. The software has an easy-to-use interface, which makes the product more favorable for not-so-experienced PC users. Panda Free Antivirus tool secures your USB devices from numerous infections and provides a “Rescue Kit” feature, which helps to disinfect your PC in critical situations. One useful feature of Panda is that it provides real-time protection, which means it can secure your PC and will simply block unauthorized attempts to install dangerous programs on your system. Comodo right now offers an awesome free antivirus in the market. You can now protect your machine from getting infected with our efficient Comodo Antivirus that strongly stays one step ahead of security threats. Comodo Free Antivirus is supported on Windows 7, Windows 8 and Windows 10 & Windows XP. The software is regularly updated to stay with the latest trend. This is one of the best free antiviruses you can have on your Windows operating system. Amiti is one of the most effective and an easy to use antivirus for your PC. Protects against viruses, trojans, worms, and malware. Amiti Antivirus has built-in real-time memory shields, scheduling, multiple skin and translations support. With Amiti Antivirus, you can ensure scheduled scans and automatic updates of the latest malware definition. Baidu Antivirus has received many accolades on the strength of its security, including recognition from VB100, AV-Comparatives Checkmark, and OPSWAT. It is also a proud member of the Microsoft Active Protections Program. Baidu Free Antivirus keep your computer safe with our award-winning security as long as you want, at no cost. 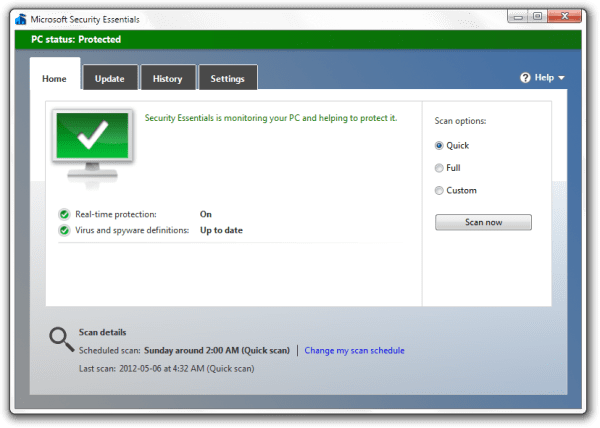 Microsoft Security Essentials comes inbuilt in Windows computer and it’s really simple to use. The software also features a neat and user-friendly interface. 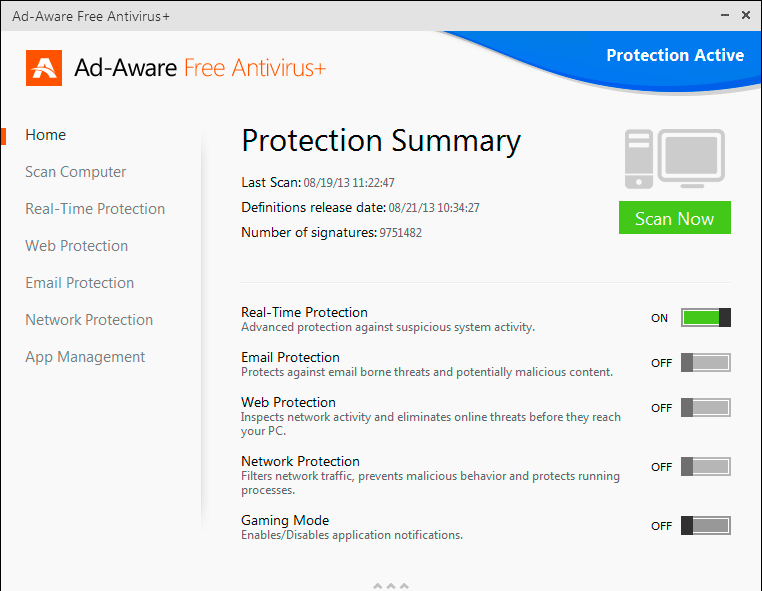 The latest version of Ad-Aware free antivirus allows users to experience effortless security. Automatic updates and real-time protection let you enjoy an uninterrupted online experience. This is one of the best Antivirus which is available for Windows operating system. The ZoneAlarm Free Antivirus is essential to securing your privacy and ensuring you’re protected from viruses, malware, spyware, and other cyber threats. You’ll be shielded from hackers and protected with unsurpassed online security that will keep your PC and identity safe. 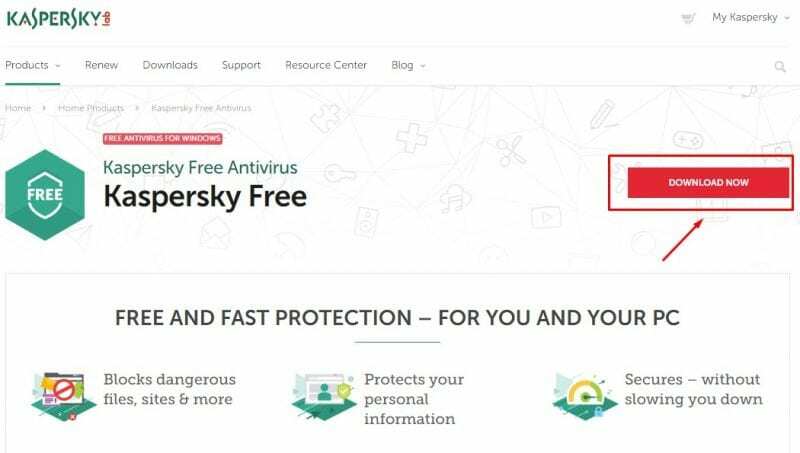 Kaspersky free Antivirus is another best security tool which you can have on your Windows 10 computer. The security tool can block dangerous files, sites and more. Not only these, it can even protect your personal information. The tool offers a real-time protection that safeguards your device from various security threats. Sophos Home Free 2018 can protect your computer against known viruses, malware, Trojans, worms, bots, potentially unwanted apps (PUAs), ransomware, and more. The software also allows users to control their webcam, and block attempts to record your keystrokes. So, this list ends here and if you find this list helpful then don’t forget to share it with your friends as well as also don’t forget to share your views and thoughts in the comment section below.